BUYER INCENTIVES $1,500 paint allowance or closing cost. 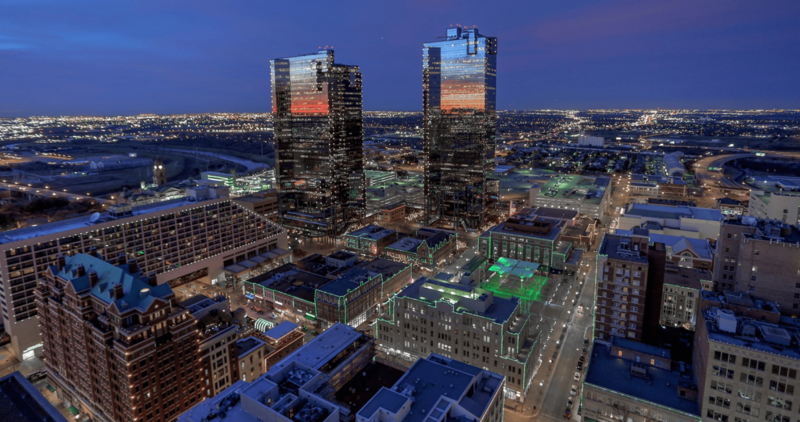 Spectacular Balcony Views to Sundance Square, walk to Trinity Trails, restaurants, and entertainment! Come live the urban life style in luxurious Tower! Floor to ceiling views with electric shades, Spacious open floor plan with wood floors in entry, kitchen and living. Roomy master bedroom and bath with large walk in closet. Kitchen boasts granite countertops, painted cabinets and stainless steel appliances. Located on the 13th floor with 2 bedrooms and 2.1 bath with large flex room, Smart Keyless Entry. 2 deeded parking spaces. 5th floor amenities are pool, courtyard, newly updated state of the art gym, party room, putting green and dog run! Move in Ready!